This is the recipe you need for Easter! 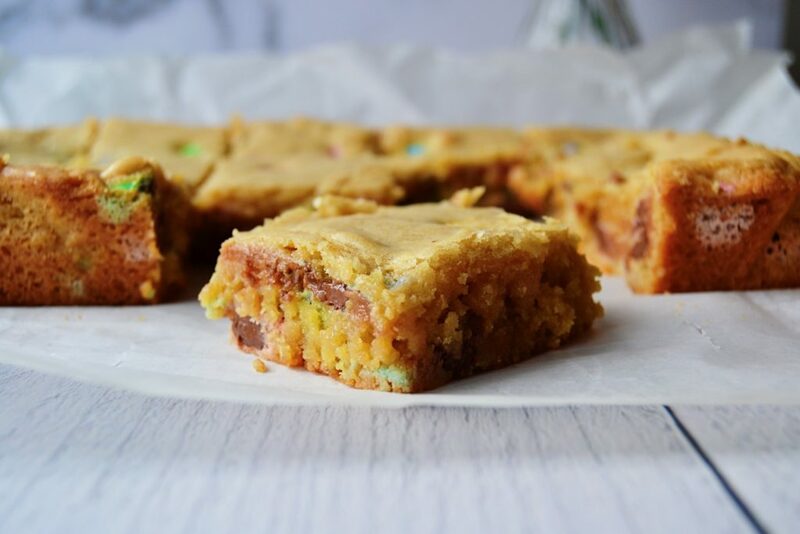 I used some cute pastel M&Ms to make my favorite blondie recipe spring-themed. It’s easy, cute, and perfect for the upcoming holiday. What are your plans for Easter Sunday? Blondies: the one bowl wonder. 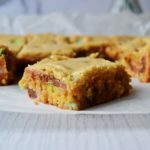 These buttery, soft, gooey bars are my go-to because everyone in my family prefers them to brownies! 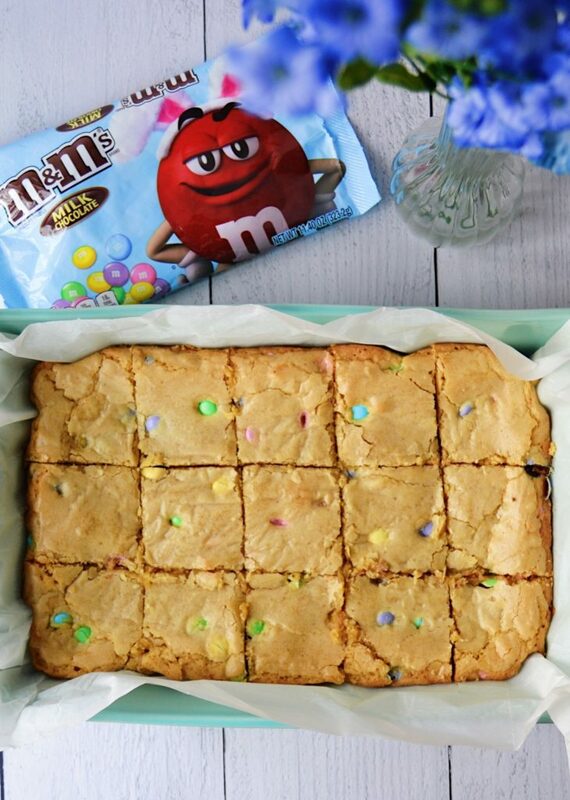 With the M&Ms, this recipe is the perfect amount of chocolate. My go-to blondie recipe. Substitute the m&ms with anything you like! Preheat oven to 350° F and line a 13×9 pan with parchment. Combine melted butter and sugars in a large bowl and stir well. Add eggs, egg yolk, and vanilla extract and stir until completely combined. Set aside. In a separate bowl, whisk together flour, cream of tartar, baking powder, and salt. Spread blondie batter into prepared pan and transfer to oven. Bake for 25-30 minutes or until a toothpick inserted in the center comes out clean or with a few fudgy crumbs. Allow to cool and enjoy!